Clown costume circa 1979. Don't blame my Mom for the makeup - I insisted on doing it myself. When my siblings and I were little my Mom would start taking orders for our Halloween costumes at some point in the late summer. For months she would work on crafting our outfits. She'd tear pictures of whatever superhero or historic figure she was attempting to recreate out of magazines and pin them over her work table for reference. Then she's work late into the nights, sewing up intricate recreations. The year I was Wonder Woman she spray painted perfect gold cufflinks and spent a full day affixing gold stars onto the polyester blue short shorts she'd made herself. Another year I was the Statue of Liberty and my mom hand-dyed sheets green and researched the correct lettering for the cover of the giant book I'd carry around covered in green construction paper. Halloween costumes were my Mom's one special thing. You can kind of convince people you're a SuperMom as long as you manage to master just one special thing. Let's face it - for the vast majority of us being a genuine SuperMom is totally out of question. I mean, sure, anyone can have a run of good days where you're staying on top of the laundry, you're judicially using discipline in favor of screeching at the kids, and you're remembering to brush hair and avoid yellow shirts on picture day like a boss. But it's a house of cards, people. Because we all know that the moment you start patting yourself on the back and basking in your own mom-awesomeness -- that 's exactly when things are going to start crashing and burning. …at which point you'll be forced to consider leaving your offspring in a basket in front of the fire station for some competent mother to raise as her own. But fear not non-SuperMoms! Your one special thing is here to save you! Because SURE, you may not be particularly great at remembering what day it is, or preparing healthy meals, or sitting through endless games of UNO without plotting someone's murder -- but you ARE awesome at making fantastic Halloween costumes! Or, I mean, whatever your one special thing is. It's not even birthdays -- just birthday cakes. I'm not that good at buying presents, and the parties I throw tend to be slapdash affairs in which I hastily invite some neighbors over three days beforehand for pizza and juice boxes. But the cakes -- they're really, really good. 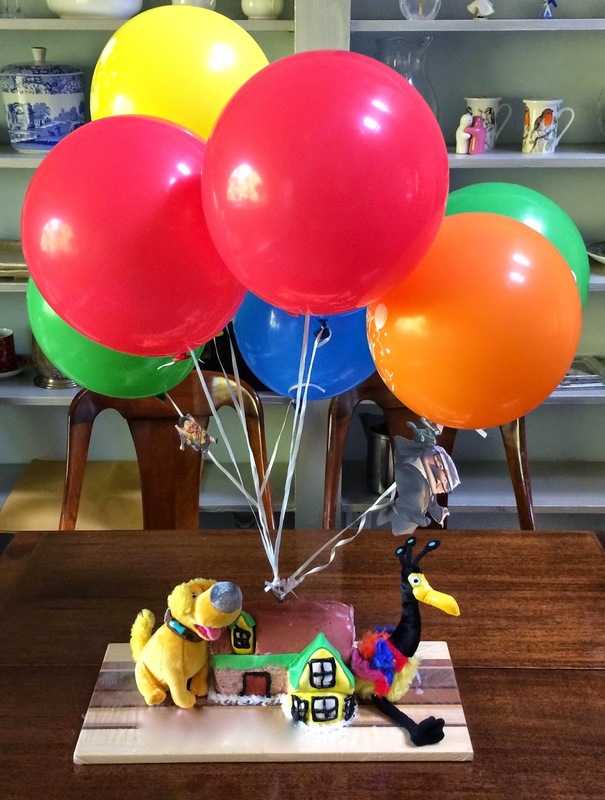 A few weeks before each of my kids' birthdays they decide on a cake theme. 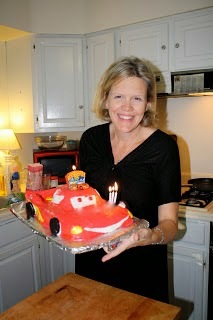 Then I hop into action: I research cakes on-line, I purchase cake topper figurines, and yes, folks, I MAKE FONDANT. "NOT a fire truck! I want a Fire Chief car!" Disregard dirty laundry in the background - that has nothing to do with any of this. Should really have bought Disney stock. The kids love their cakes. They look forward to them all year. 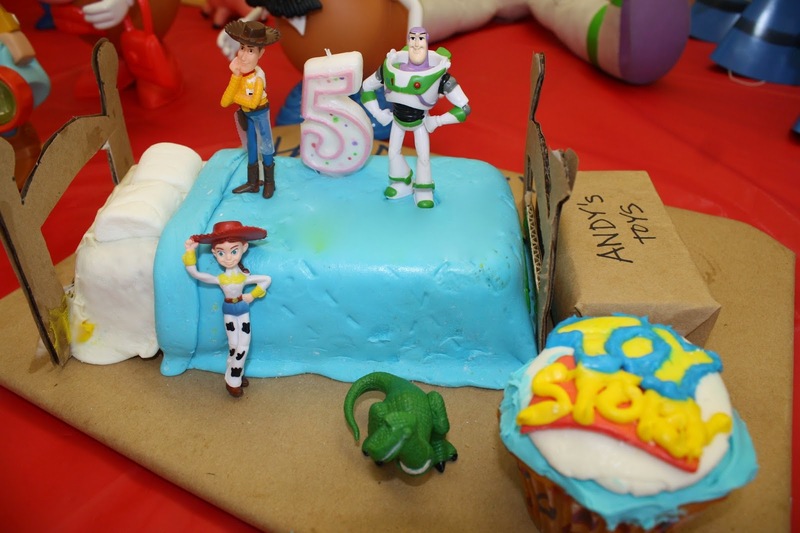 They get into lengthy debates about which cake theme will be best and each year when the cake is unveiled there is much happy laughter and odes to Mom's real life Supermom-ness! Which is nice because most of the non-birthday days of the year my superbness is kinda dormant. But I feel pretty hopeful that when my kids look back at these years they aren't going to remember burnt dinners and forgotten cleats the way they remember those cakes -- in the same way I remember my Mom hunched for hours over that sewing machine making my Halloween wishes come true -- and doing her one special thing.